Aries loves to be independent, ambitious, courageous, mentally active, are impulsive at times and carry ingenuity. Their life is full of struggles at every phase, but they also meet good fortune for the same. They stay passionate about government, political issues, and are spiritual activist. They encounter family bonding in strain, less favorable of relatives and changes in residence are very frequent. They might stop up in legal proceedings in some cases, conqueror of enemies, quick decision maker and possesses analytical ability to undergo any situation. Aries are linked to their minds, so they undergo through the most common things such as headaches, migraines, neuralgia, insomnia, and fainting fits at times. Aries stay healthy, fit and agile throughout. The Aires are recommended to take complete rest and sleep. They should eat green vegetables and organic food utmost. They should not worry much, control of feelings is important, should relax and anger should be granted. They should avoid non vegetarian meals as much as possible. Aries cannot keep their wealth amassed despite of their strong desires to act so. They should avoid being extravagant as a good deal as possible. They lose a serious amount of money due to rash decisions and investments. If evil planets are posited in Aries, it argues that they will start in a flash and end up in a crash as their money is always unbalanced. They should play and remain calm before making any decision. 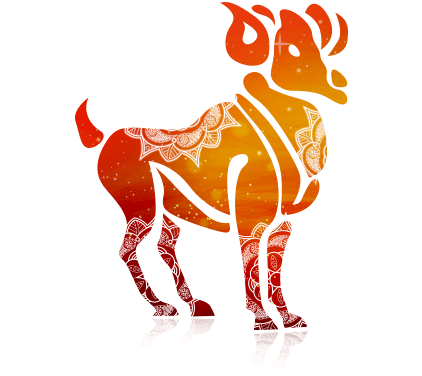 Aries are very enthusiastic lovers, good nature and charming personality. They can attract the opposite gender by their frank behavior. They carry practical views, lasting affection, freedom and adventure are some of their basic traits. They should soften their nature which might get dominating at times, should not grow impatient and emotional too quickly. They should bind to their first lover rather looking for a change. Arian ladies are thinking, witty, independent, zealous, proud and always speak highly of them. They are a dependable host to the family, friends and at work. They like their husband to look after them, speak highly of them and they don’t like their partner to praise anyone in their bearing. They can just marry a man if they love and admire him. Usually, they dominate their lover or partner, aggressive in nature and are very romantic. They can be loved and mastered with patience, love and tact. Overall, they are blazing. Aries men become very desirable partners. They are loving, passionate, clever and romantic. They like beautiful, intelligent and witty women. Leo, Sagittarius and Libra are the best matches for Arians to get caught. They look for peace, calm, composed, less spending and cool tempered partners. Aries prefers neat, clean and well maintained home. They have good acquaintances and are excellent hosts. They love their home, family and allies. Good company and friends are their weaknesses. They should avoid rash arguments, short temperament, criticizing and should not be impulsive in order to sustain a good household. Those professions which are dominated by Mars are good for Arians. They can get into the Army, Law, Police, Iron and Steel business, Chemist, Factories and sport goods are best fitted for them. Lucky days for Arians are Tuesday, Friday and Saturday. Sunday and Monday are considerably reasonable and the remaining days are expensive and undesirable for them. Tuesday is the fasting day for Arians. 9 & 1 are lucky numbers for Aries, 1 & 4 are attractive. 2, 3, 5 can be nominated as passive numbers and 6 & 7 are disagreeable. Red, yellow, golden and copper are favorable colors for Arians. They should avoid black color. Red coral made in copper or silver, worn along the first finger on Tuesday morning is favorable for Arians. When Mars is unfavorable for Aries, they should wear Ruby, Red Coral and Pearl.